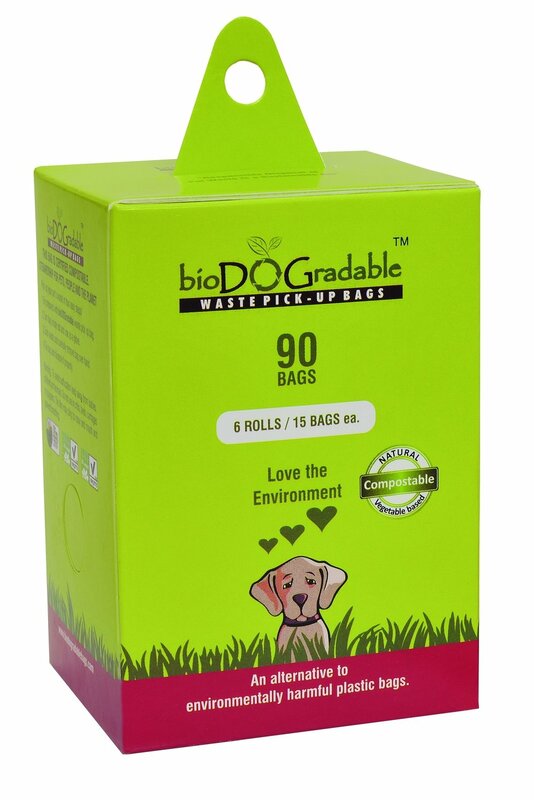 This pack of bioDOGradable refill pack contains 6 rolls of 15 bags each (90 bags), this is the perfect quantity for dogs that need to poop often. These dog waste bags are chemical-free and plastic-free so they are unscented, certified by USDA as a biobased product, and certified by TUV Austria and EN 13432 as Industrial and Home Compostable. We made sure that these pet poop bags are leak-proof and can hold up to 4 pounds in poop so you never have to worry about the “goods” getting through the bag. These bags will fit in our leash dispenser along with any other leash dispenser.